You are here: Home > Things to do > First-time visitor > Where is London? How much do you know about London? 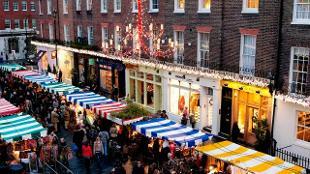 A lively and eclectic metropolis, London has always something new to discover. 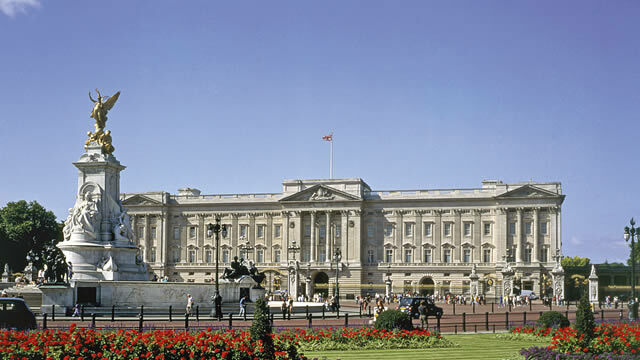 But let’s start from the basics, with the essential information and must-know facts about the capital of the UK. London is one of the most diverse and cosmopolitan cities in the world; but where is it actually located? 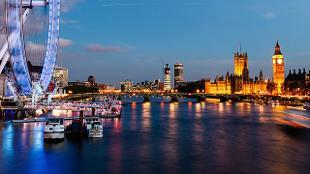 London is the capital city of England and is located in the south east of the country. Although a country in its own right, England is also part of the United Kingdom alongside Northern Ireland, Scotland and Wales. Where is London located in the UK? From its location in south east England, it doesn't take long to get to London from all major cities in the United Kingdom. The UK's efficient rail network means a London break by rail takes less than two and a half hours from cities in the north, such as Manchester, Leeds and Sheffield. It takes less than two hours to get to London from places in the West of England such as Bristol, and less than an hour from Brighton. Regular ferry services connect London to continental Europe and Ireland, and the Eurostar high-speed train will take you from Paris to Central London in just over two hours. With five major airports, London is easy to get to from all over the world. What county is London in? 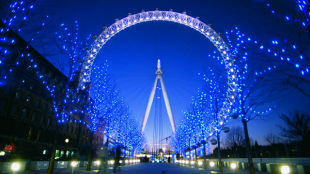 London is located in the county of Greater London, an administrative area that includes 32 boroughs plus the City of London. 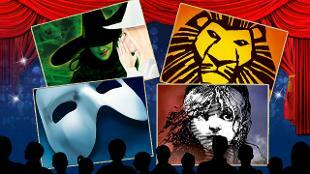 There are so many things to do in London! Get started with our guide for first-time visitors. 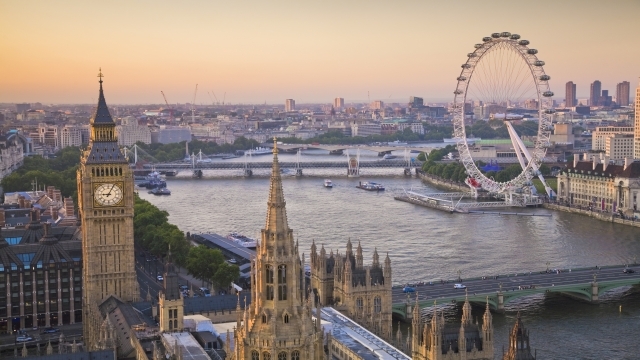 Stay in some of the country's grandest hotels, see some of the best theatre in the world in the West End, or check out one of London's top attractions. Join in one of the many exciting London events happening throughout the year, or take a tour and allow an expert to guide you through the city’s hidden gems. Not sure when the best time to visit London is? The capital is the perfect place to visit all year round, with seasonal events coming one after the other. 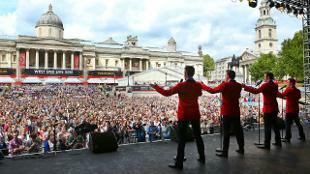 Find out more about special events in London with our month-by-month guide. The climate in the capital is one of the mildest in the UK, but London weather can be quite unpredictable. In autumn and winter, take in a museum or art gallery, or head to one of London's many pop-up ice rinks over the Christmas period. Spring and summer are perfect for enjoying the outdoors at one of the many wonderful parks, or indulging in a drink in the sun at a rooftop bar. London is the biggest city in the UK, by density and by population. It is approximately 600 square miles (1500 square kilometres). As of 2015, London's population stands at approximately 8.6 million. What is the City of London? The City of London is an area of central London. 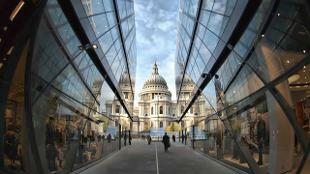 It's the most historical part of London and was founded by the Romans as the settlement of Londinium in AD50. Today, it's home to some of London's top attractions, including the Tower of London, Tower Bridge and St Paul's Cathedral, as well as modern skyscrapers such as The Gherkin, "The Walkie-Talkie" (20 Fenchurch Street), and the "The Cheesegrater" (122 Leadenhall Street). What time zone is London? London operates by Greenwich Mean Time (GMT), the same as the rest of the UK. The clocks in the UK change twice a year, in March and in October. Head to the Royal Observatory Greenwich, stand on the Greenwich Meridian Line, and see where the mean solar time for the UK is calculated from. 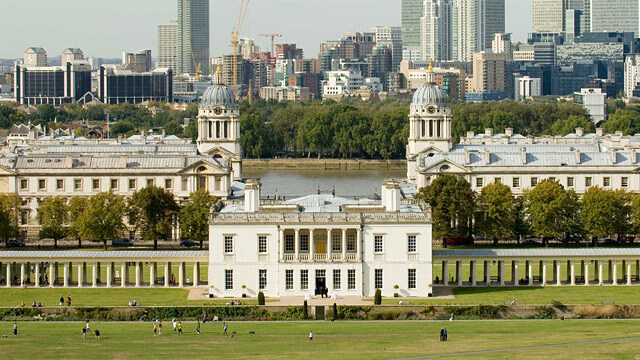 While you are there, visit many other top attractions in Greenwich, one of London's local neighbourhoods. 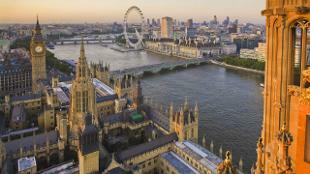 Find more essential information about London.